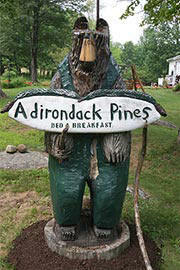 Adirondack vacation lodging is at its most serene at Adirondack Pines. Join us, the Dan & Nancy Freebern, in our 1837 Country Farm House in beautiful Adirondack, NY. 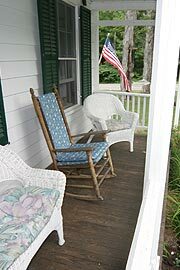 Stay in one of the cozy bedrooms in our historic Adirondack bed & breakfast, or kick back in your own newly renovated, private, three-bedroom Adirondack cabin rental. Conveniently located just minutes off the Northway, we offer Adirondack lodging minutes from the beach and public boat launch in Schroon Lake, 1/2 hour from Gore Mountain and Lake George, and less than 1 hour from Lake Placid. Skiing, snowboarding, snowmobiling, hiking, swimming, boating, antiquing...they're all within reach! 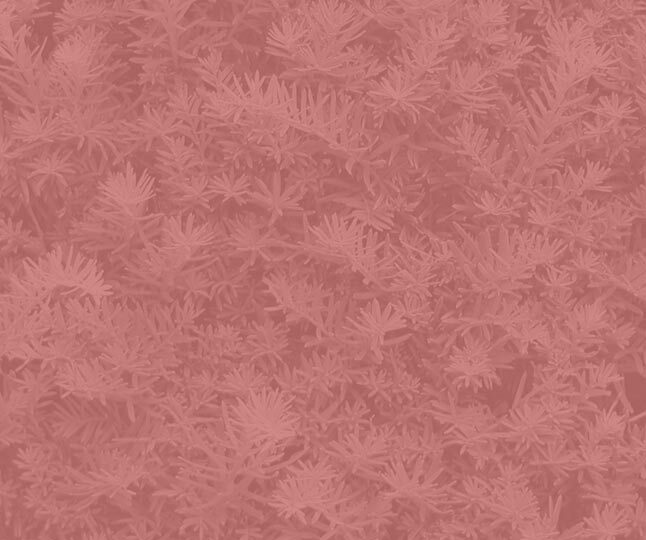 There's something for everyone, any time of year. Did we mention hiking? Pharaoh Mountain is just minutes away. Pharaoh Mountain (2,557 ft.) is a 5.6 mile round trip moderately difficult hiking trail. There are breathtaking views of the surrounding wilderness. Enjoy a walk around the 100 acres of grounds, watch for the deer who frequent the apple orchard in our back yard, and at night find stars you've never seen before in the clear Adirondack Mountain skies.